While still in his teens, Dutch inventor Boyan Slat conceived of an Ocean Cleanup Array that he believed could remove 7,250,000 tons of plastic waste currently polluting waters around the globe. Now just two years after we broke the news of Slat’s groundbreaking—and somewhat controversial—idea, the very first Ocean Cleanup is in development, and is set to be deployed in waters between Japan and South-Korea in the second quarter of 2016. Plastic waste is a huge problem in the world’s oceans—around 8.8 million metric tons of plastic waste are dumped into the sea each year, and one recent study suggests that there will be a cumulative tenfold increase in ocean plastics by 2020. Once in the sea, this plastic waste wreaks havoc on marine life—with larger creatures becoming entangled in the debris, and small organisms ingesting particles of broken down plastics. Moreover, the waste gathers into gyres—with five large ones known to exist around the globe, most notably the Great Pacific Garbage Patch. The Cleanup Array did draw criticism from some quarters, but after a year-long feasibility study, it was concluded that not only could the Array work, but it may be able to clean up half of the Great Pacific Garbage Patch in just 10 years. 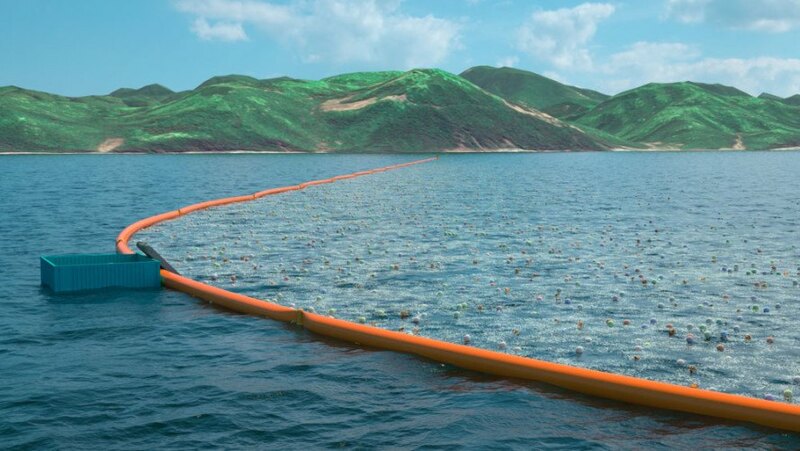 And so, in 2016, Slat’s organization—The Ocean Cleanup—will deploy a 2000 meter array off Tsushima island, which lies between Japan and South Korea. 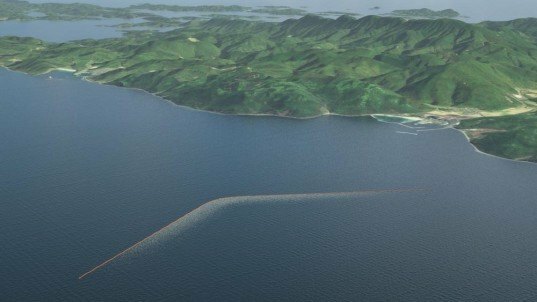 The system—which will be the longest floating structure ever deployed—will be operational for two years, gathering plastic waste before it reaches the shores of Tsushima. In addition, the organization is working with Tsushima Island to determine if the collected waste can be used as an alternative energy source. And if all goes well, The Ocean Cleanup will deploy a 1000km system to tackles the Great Pacific Garbage Patch within the next five years. While still in his teens, Dutch inventor Boyan Slat conceived of an Ocean Cleanup Array that he believed could remove 7,250,000 tons of plastic waste currently polluting waters around the globe. Now just two years after we broke the news of Slat's groundbreaking—and somewhat controversial—idea, the very first Ocean Cleanup is in development, and is set to be deployed in waters between Japan and South-Korea in the second quarter of 2016.